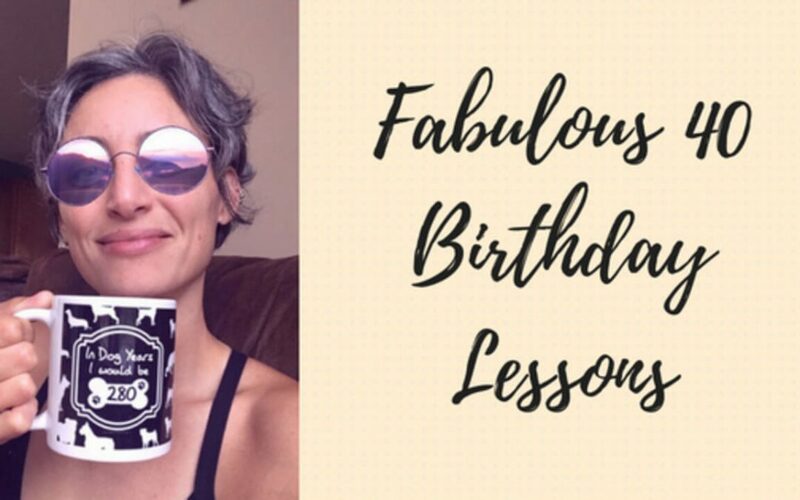 I’ve really loved celebrating my 40th birthday, and I’ve been doing a lot of thinking about the sharing of time. I’ve been humbled by the people who have reached out to wish me well, and it has taught me that even the smallest of actions matter. I’ve often skipped events because I didn’t feel like going, or didn’t bother posting a happy birthday message because I figured no one would notice. What are a few extra moments spent if it means leaving an impression on someone’s heart? You never know what your efforts will do. Or mindlessly scrolling through our news feeds without really registering what we’re seeing. We must not forget the importance of human connection. We are not meant to be isolated inside our own minds and our own worlds. We are here for connecting, sharing, and supporting. I often get lost inside myself and want to do what I want to do, when I want to do it. But… I cannot live a life by myself. I have family, I have friends, and I need to let them know that I care about them. One of the best gifts I got for my birthday was my parents flying in to surprise me. I cried when I saw them. Nothing shows love more than the gift of your time. I have learned a great lesson from all of you, and I promise to do better from here on out.